It’s now a matter of when the family wants to let go and accept that she’s pretty much not going to make it. [Doctors have] left it up to the family as to how long they want to keep her alive. On Monday, it was reported that Bobbi Kristina was showing "minimal response" after a brain activity test. That same day, there were other updates stating she showed "significant" improvement, while other doctors said it would be a "miracle" to see her fully recover. Another source, per Page Six, said Bobbi Kristina's condition seems much better compared to when she was first admitted. As of Tuesday, and as TMZ reports, Bobbi Kristina is now receiving treatment at Emory University Hospital in Atlanta, which is reportedly causing a rift between the Houston and Brown families over who gets access to see Bobbi Kristina. Despite the not-so-good sounding news, Bobby Brown is seemingly remaining positive and pushing for his daughter. He is said to be "hopeful" and "rallying others to stay uplifted — refusing to acknowledge the worst-case scenario." [Police] were asking if they saw anyone jump the wall behind the house, or if anyone was seen leaving the area. But no one recalled seeing anyone or anything suspicious. But the cops also were looking for video. We are currently investigating the events that led to the hospitalization of Bobbi Kristina. 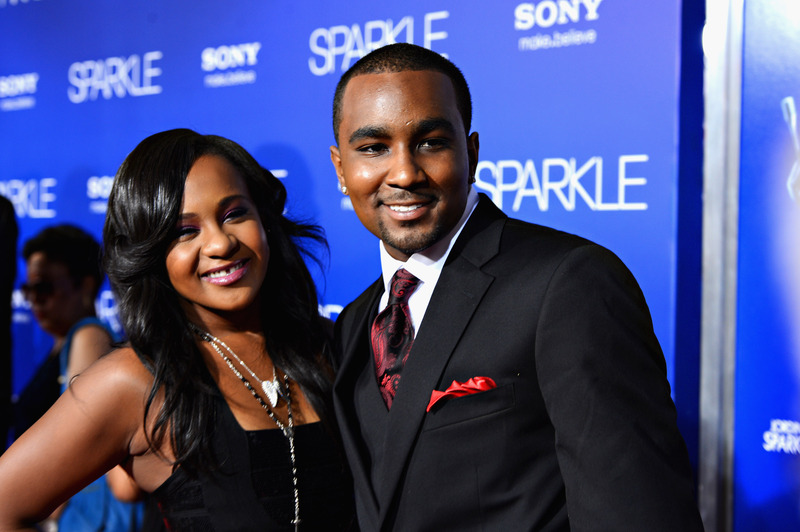 To correct earlier reports, Bobbi Kristina is not and has never been married to Nick Gordon. Whatever the case, let's keep Bobbi Kristina and her family in our thoughts.